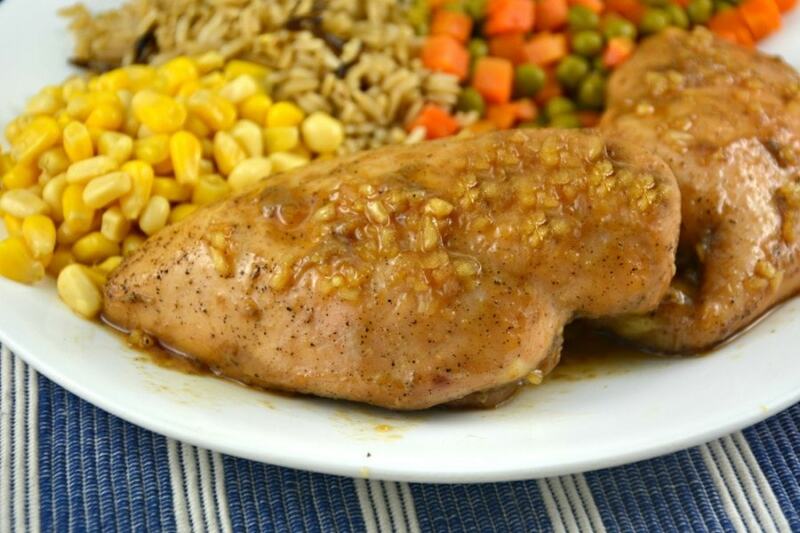 This Supreme Sweet Chicken Breast recipe is so easy and totally delicious. So moist and light. Only 3 ingredients. It doesn’t get better than that! 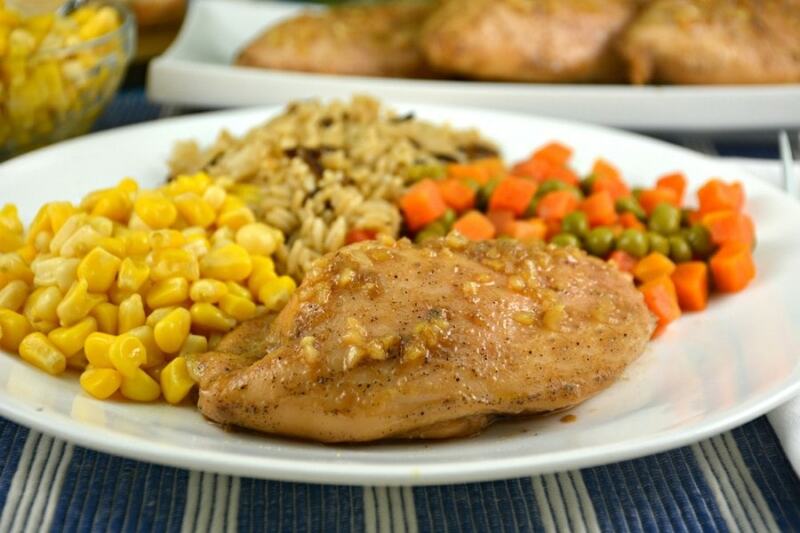 A great chicken dinner recipe for those busy weeknights! I prefer to let this chicken marinate all day, come home and bake it! 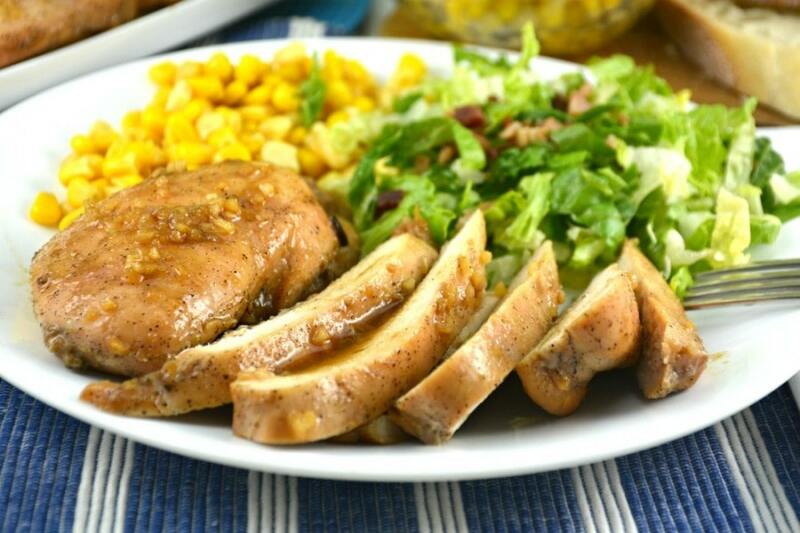 Some chicken dishes are almost too easy and this is one of them! 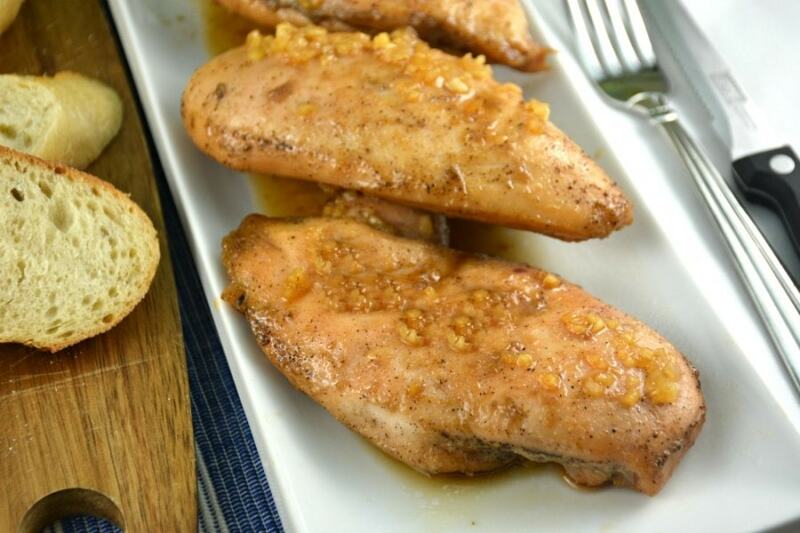 You can serve this Supreme Sweet Chicken Breast with absolutely anything and everything. From salad to any kind of potatoes or rice or any vegetable. Moist, flavorful and so easy! I have to tell you that years ago, one morning when I was going to get this chicken ready, I realized that I had run out of minced ginger. I hate it when that happens. Anyways, I used minced garlic instead and the chicken turned out great. So good in fact I continued to use garlic on occasion, totally on purpose! 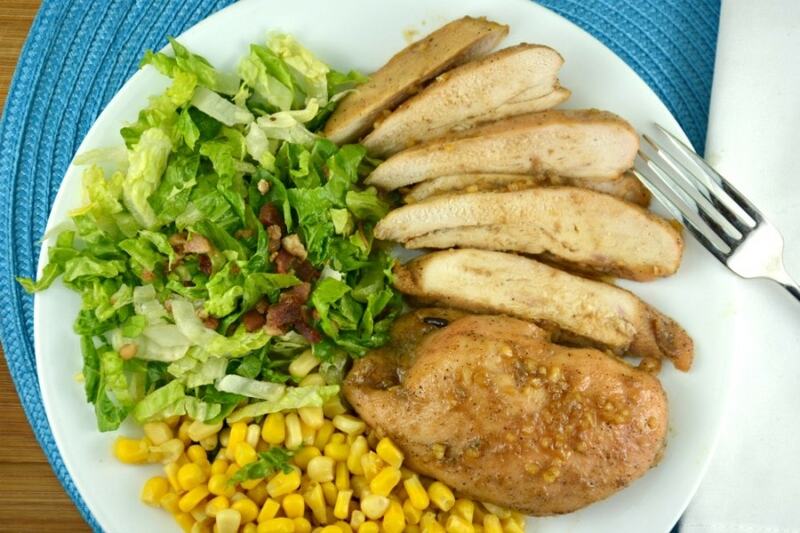 Just in case this Supreme Sweet Chicken Breast recipe isn’t for you I have listed some others below you just might want to have a look at. You can never have too many chicken recipes. Hopefully you will enjoy them as much as we do! 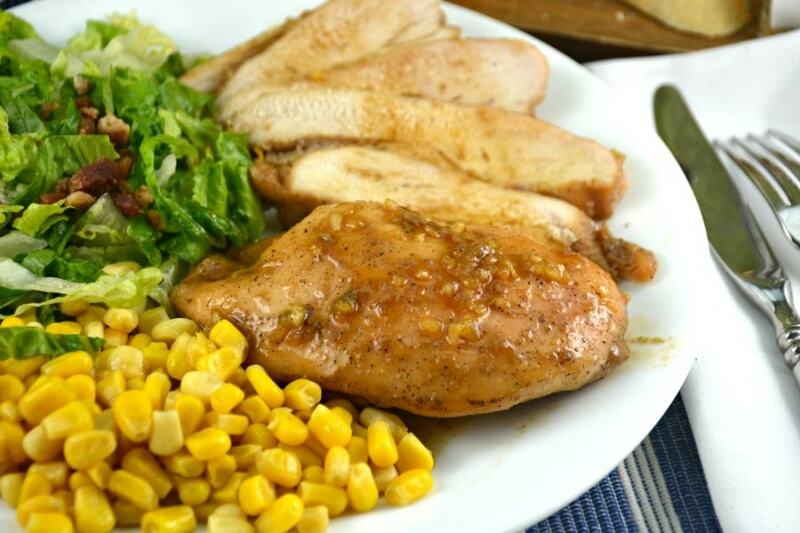 If possible, try and baste this Supreme Sweet Chicken Breast dish a few times while baking. Sometimes just flip the breasts over a couple of times while it’s in the oven,. I find the chicken turns out even more flavorful. For the record my husband says he can’t tell the difference, he says the chicken tastes the same both ways. I am curious to see if you think there is a difference. Take a moment to check out our video! I hope you will be glad you did! 2 tsp ginger, minced or grated I have substituted minced garlic when I ran out of ginger and this recipe turned out beautifully as well! Pat chicken dry with paper towels and place in a large resealable bag. In a measuring cup add soy sauce, then syrup, and ginger or garlic. Stir and dump liquid into the bag with the chicken. Remove as much air as possible from the bag and seal it up. Adjust your chicken pieces to make sure they are all covered in the mixture. 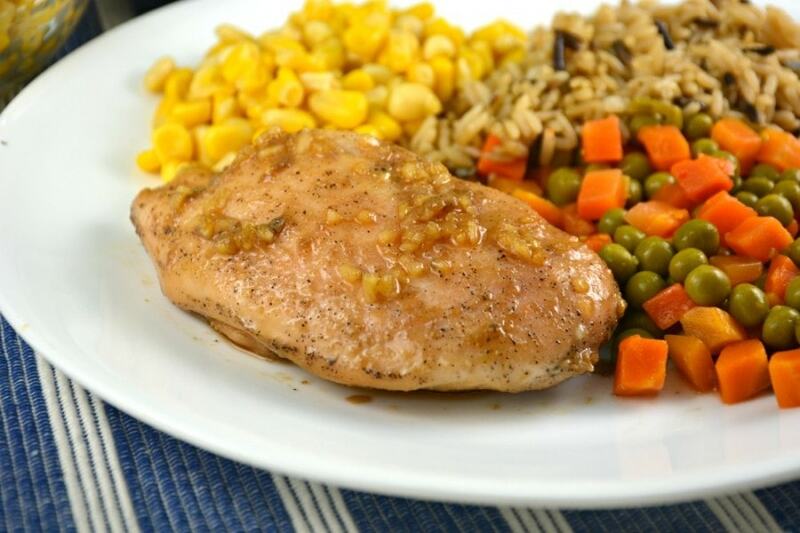 Allow your chicken to marinate in your fridge for at least an hour. The longer the better. When you are ready to bake, Preheat your oven to 350 degrees. Prepare an 9x9 or 8x8 inch pan with tinfoil and cooking spray. Place bag contents, chicken and liquid, into your prepared pan. Now you need to bake, uncovered, for a total of 45 minutes. The more you baste this chicken the better. I usually set my timer for 10 minutes. At that point I flip the entire chicken breast over. Set timer for another 10 minutes. Flip chicken breasts back over. You get the idea. For the last few minutes I usually turn the oven up to broil to darken the chicken a little if I am in the mood! Use a thermometer to make sure your chicken breasts are cooked before serving. Chicken breast sizes vary. Enjoy!